Researchers at Vanderbilt University and Florida State University have received a three-year, $1.5 million grant from the Military Suicide Research Consortium to develop and evaluate tools to help U.S. Navy primary care teams detect and manage suicide risk. 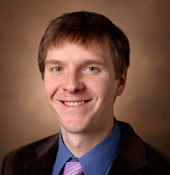 Colin Walsh, MD, assistant professor of Biomedical Informatics, Medicine and Psychiatry and Behavioral Sciences, will lead the predictive and implementation science aspects of the project. The Vanderbilt team also includes Laurie Novak, PhD, MHSA, assistant professor of Biomedical Informatics. The team previously developed machine learning algorithms that use medical record data to detect risk of suicide attempts and suicide death. They’ll test and update these algorithms for use in a military setting and they’ll design a decision support tool to fit clinical routines in primary care. They will conduct a randomized trial to see how effectively their algorithm supports decision-making by a primary care team serving active duty service members. In previous research, Walsh and colleagues at Florida State demonstrated that automated risk analysis based on machine learning and electronic health record data vastly outperforms other suicide risk-scoring tools.